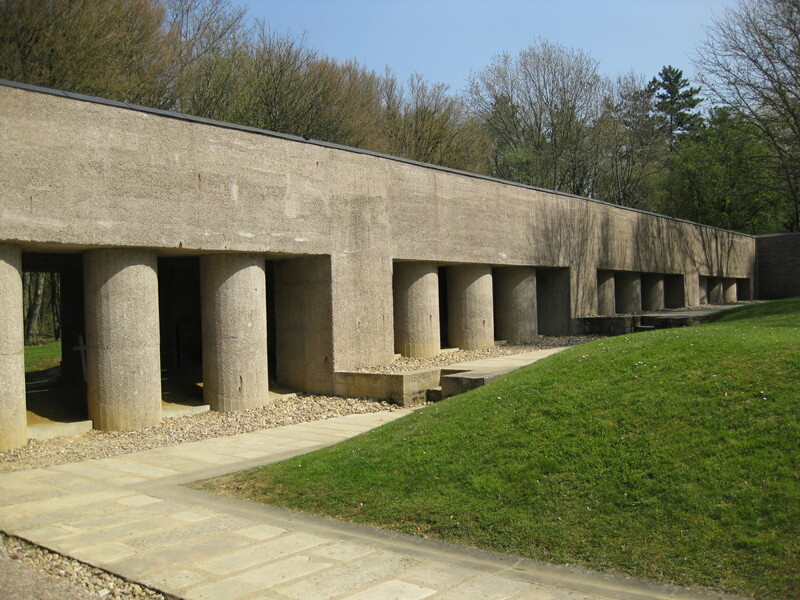 The Tranchée des Baionnettes on the Verdun battlefield lies immortalised in concrete. An object of modern warfare created from the objects of modern war. (Copyright Matt Leonard). Crosses now stand in place of the bayonets, which have long since gone missing. (Copyright Matt Leonard). 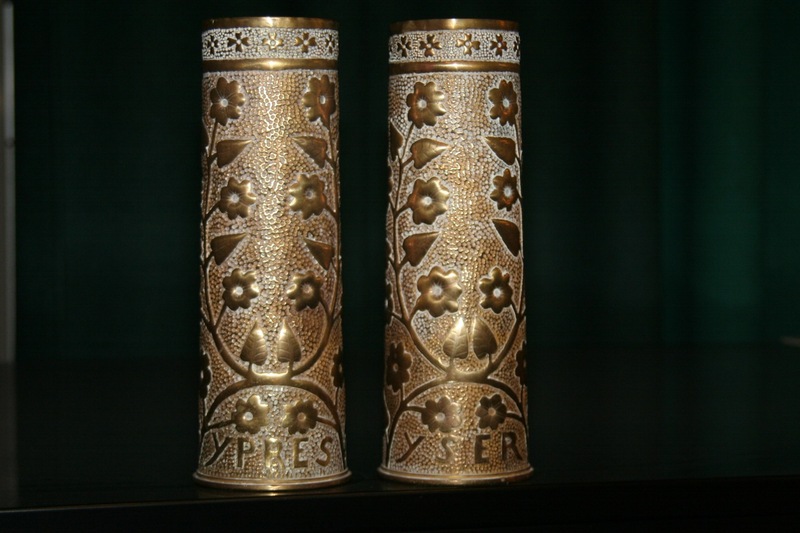 An excellent example of a matching pair of decorated shell cases. (Photograph: Jack V Sturiano. Copyright Matt Leonard). An example of a shell case converted into a gas gong. 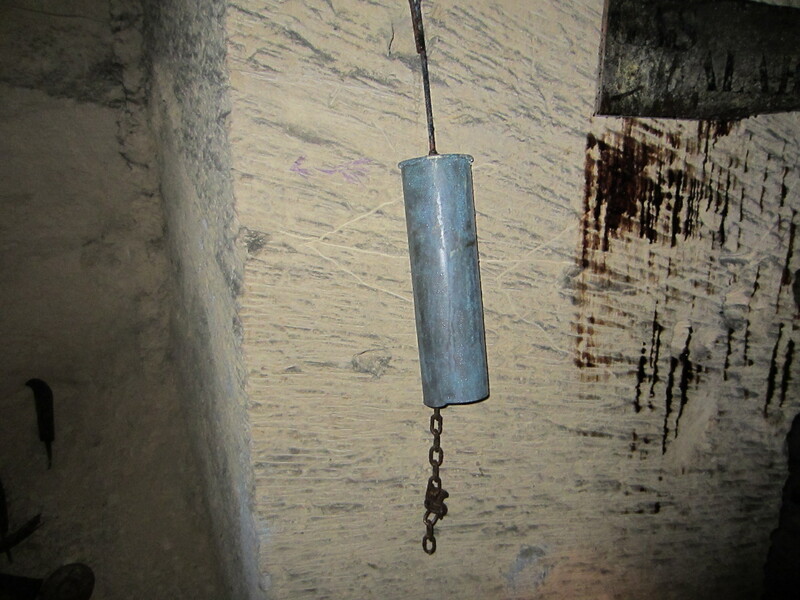 This one is located in a souterrain deep below the Chemin des Dames sector of the front-line. (Copyright Matt Leonard). 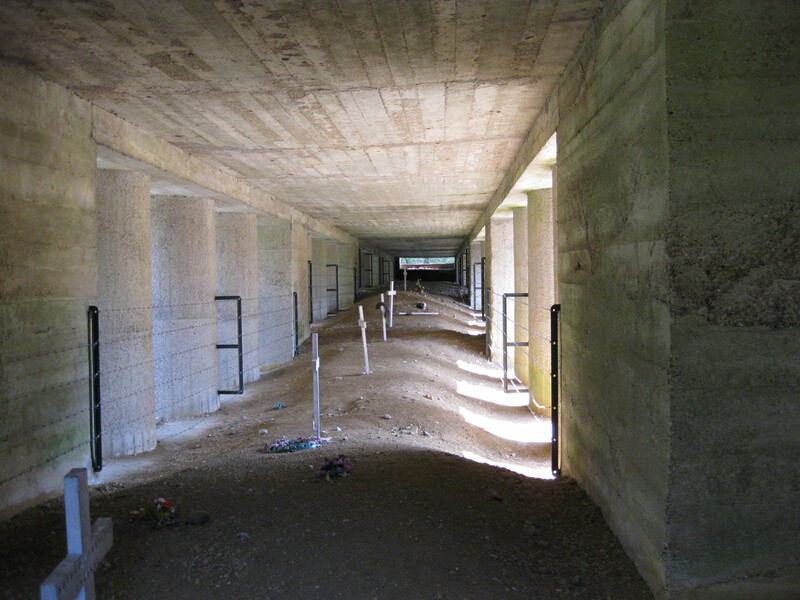 A converted shell case can be seen on the wall of this trench in the Neuville St Vaast sector of the line, during 1915. 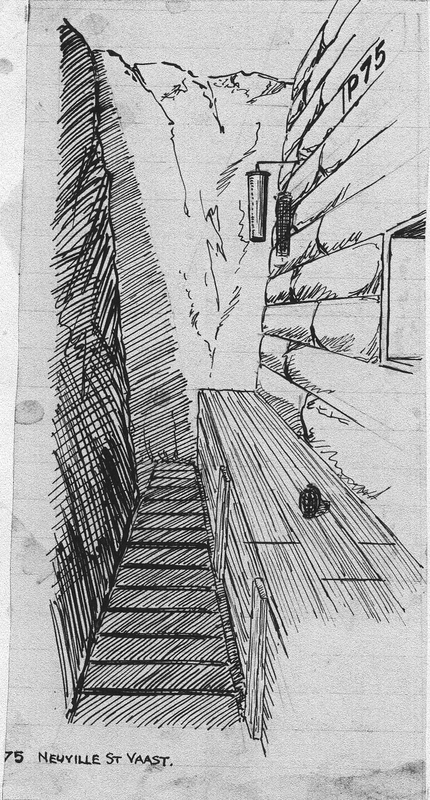 The drawing is from the war diary of Private William Albert Muggeridge, a Rifleman in the London Irish Regiment. (Copyright Matt Leonard).